HBO is celebrating the launch of Game of Thrones: The Complete Fifth Season on Blu-ray and DVD by revealing a giant chocolate dragon's egg in London's Selfridges. 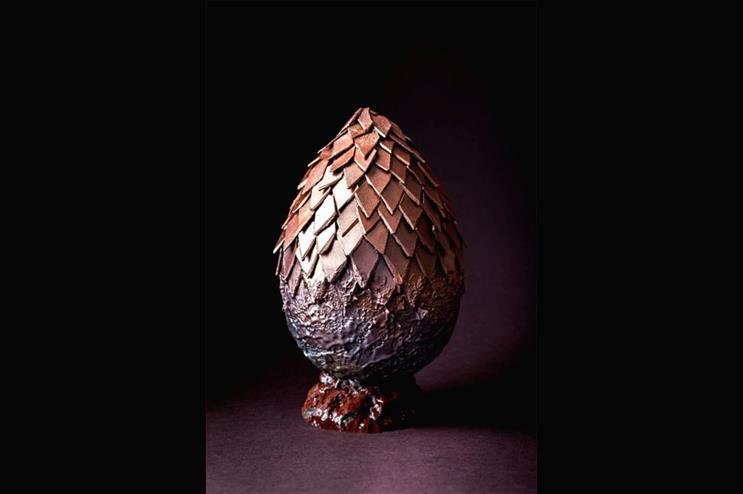 The dragon's egg has been designed by chocolatier Melt. The entire creation is made of chocolate, weighs 15kg and stands at 55cm tall. It has taken more than 25 hours to create. Melt will unveil the dragon’s egg at Selfridges on Oxford Street on Saturday (12 March). Game of Thrones fans will be able to watch chocolatiers assemble to edible art scale by scale from 11am until 1pm. The finished egg will then be on display for selfie opportunities until 4pm. Visitors to the attraction will also be given the chance to win copies of the series’ boxsets. Earlier today Sky Atlantic showcased a giant piece of 'snow art' to celebrate the upcoming sixth season of Game of Thrones.